a. 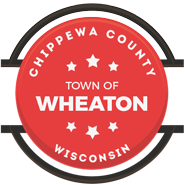 A public hearing will be held for discussion of the proposed budget for 2019 for the Town of Wheaton. The public will be allowed to discuss items related to the proposed budget. a. The special meeting will be called to order. b. The town board will entertain a motion by the town electors to accept the proposed levy for the 2019 year. The proposed town budget is attached.